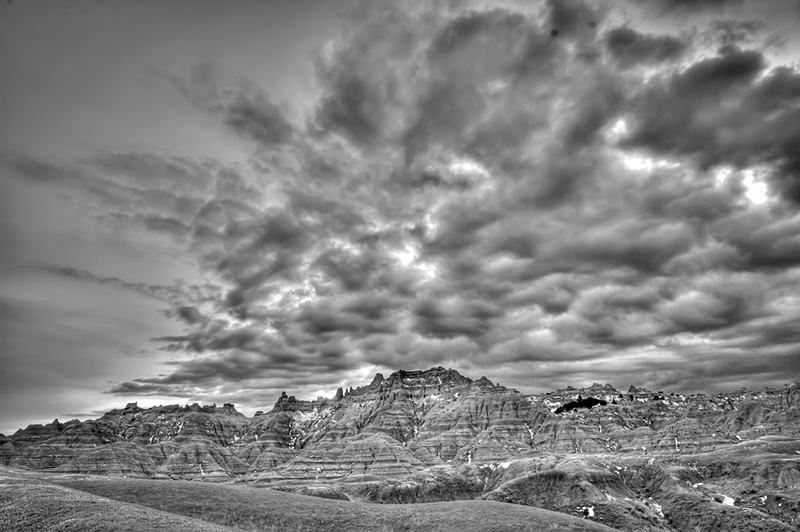 For a while I thought I was going to get a real nice colorful sunset in Badlands National Park tonight. Instead, these big storm clouds rolled in and turned everything a very ominous shade of blue. So I fooled Mother Nature and took the color out of the scene completely.